The seven main reasons Democrats shouldn’t contribute to Jill Stein’s recount fund. Green party nominee Jill Stein speaks to members of the press before the start of a campaign rally at the Hostos Center for the Arts & Culture on October 12, 2016 in New York City. Jill Stein is suddenly really popular. As of early afternoon on Saturday she had raised more than $5.2 million for an effort to recount votes in Michigan, Pennsylvania, and Wisconsin—all states in which Donald Trump won by a tiny margin. That means Stein has now raised more money this week than she did in the entire presidential campaign, when she received a grand total of $3.51 million from supporters. The deadline to request a recount in Wisconsin is Friday while the deadlines for Michigan and Pennsylvania are next week. Yet even as some Hillary Clinton supporters are opening up their wallets to help the recount efforts, others have been highly critical saying the whole thing is nothing more than a gimmick to promote Stein and the Green Party. What are the main issues that have been raised against the recount drive? 1. The amount she’s asking for keeps increasing. The amount of money needed for the recount has been suspiciously creeping upward since the fundraising drive was launched. At first, the goal was $2.5 million. Now it’s $7 million with no real explanation as to why the additional money is needed. In an initial cached version of the fundraising page, they do not mention attorney fees in the fundraising pitch. A cached version of the page from early Thursday morning then estimates that attorney fees will “likely to be another $1 million,” while her page had set a goal of $4.5 million mid-day Thursday. 4. No smoking gun. 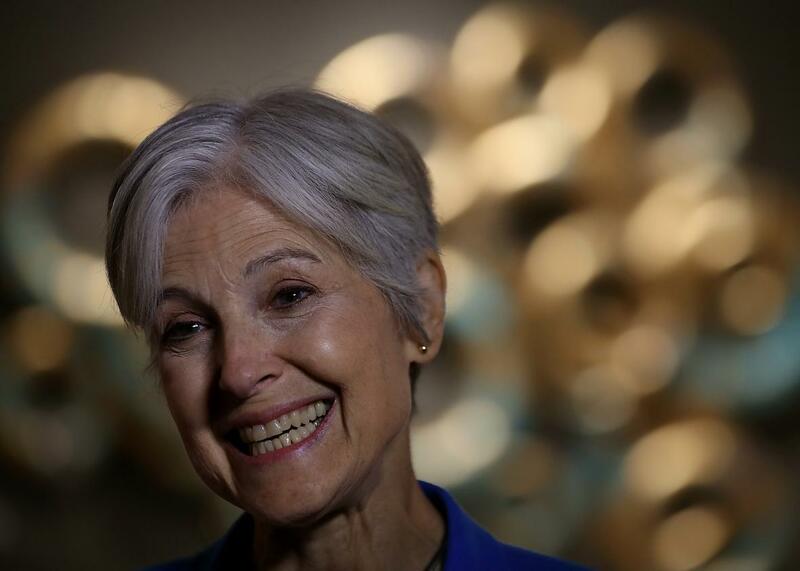 “Let me be very clear: We do not have evidence of fraud,” Stein said in an interview. “We do not have smoking guns. What we do have is an election that was surrounded by hacking.” The push for a recount really went into overdrive with a New York magazine report that claimed cybersecurity experts were calling for Clinton’s campaign to contest the results. But since then several experts spoke up to say the evidence was far from clear-cut. “Were this year’s deviations from pre-election polls the results of a cyberattack? Probably not,” wrote J. Alex Halderman, one of the experts cited in the initial report. “I believe the most likely explanation is that the polls were systematically wrong.” Even as some security and election experts call for paper ballots to be checked it’s important to note “there’s no evidence that the electronic machines were hacked or the election was compromised,” as NPR’s Camila Domonoske explained. 5. A recount wouldn’t necessarily disprove hacking anyway. Despite his skepticism, Halderman said nobody will know whether a cyberattack changed the result of the race unless there is a recount. But that’s not necessarily true. In Pennsylvania, for example, most machines don’t have paper ballots and if the past is any guide the recount could simply mean re-scanning the machine results, notes the Washington Post. 6. Stein doesn’t actually want to help Clinton. Stein clearly states that the effort is “not intended to help Hillary Clinton,” adding that “recounts are part of an election integrity movement to attempt to shine a light on just how untrustworthy the U.S. election system is.” After all, during the campaign, Stein made clear she didn’t prefer Clinton over Trump and has now said that the way Clinton has stayed out of the recount fray only shows the Democratic Party is corrupt. Some Democrats are also saying that it’s really rich for someone like Stein to worry about how a few thousand votes could affect the outcome of an election. “I really wish Jill Stein had not waited until after the election to be so concerned about a few thousand votes tipping the election to Trump,” wrote Dan Pfeiffer. 7. There are better places for your money. Many are urging those who just want to put their money where their mouth is to send cash for progressive organizations such as the American Civil Liberties Union and Planned Parenthood, which have already seen a surge in donations after Trump’s election. Others say that those who want to help Democrats really should be donating toward Louisiana’s Democratic Senate candidate, Foster Campbell, who is competing in a Dec. 10 runoff. “The amount of Democratic energy and money being wasted on recounts instead of trying to win the Louisiana Senate Race is mind boggling,” wrote Pfeiffer on Twitter. Having said all that though, some Clinton supporters are certainly on board with the effort, saying it’s better than nothing. Adam Parkhomenko, a prominent Clinton supporter, gave “kudos” to Stein “for leading on this.” Many Clinton backers were already calling for a recount even before Stein got on board and they see no reason to back down now even if they may not be fans of the person who is leading the effort. Despite his praise though, even Parkhomenko has said he is not giving Stein a single dollar and is, like other Democrats, is urging donations for Campbell.